To watch 3D movies, we used to go to cinema because we cannot watch 3D movies on TV or normal video player. But, what if you don't want to go out to watch 3D movies in cinema because sitting on your couch in your room is more pleasing? Don't worry! You can now enjoy the vivid 3D effects sitting at your home using 3D video player software and Apps. Here are 5 best 3D Video Players that will redefine your notion of a perfect viewing experience. 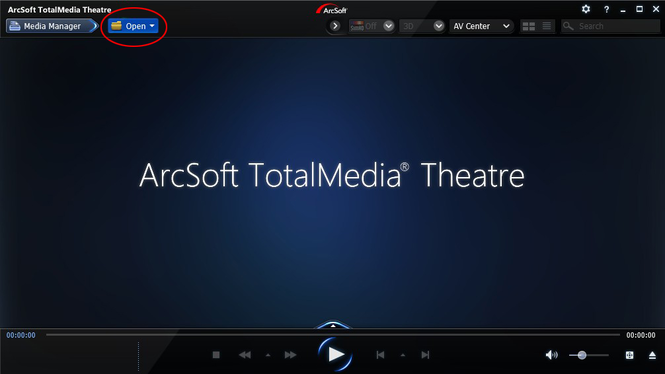 ArcSoft Total Media Theater is one of the most talked 3D video players and converters. It is is well suited for Blu-ray, 3D, HD, DVD, and most other standard videos. Users can upgrade SD videos into HD and get 3D video experience from 2D videos. Using your smartphone as the remote, you can play HD and Blu-ray videos on your PC to TV or projector. And this software is designed to work with Windows 8 platform. 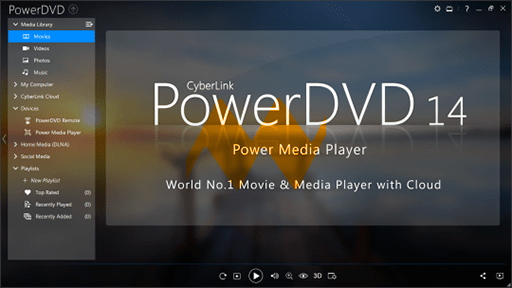 Cyberlink Power DVD 14 Ultra is another best 3D video players available in the market. It has the capability to play any kind of media, including movies, videos, photos and music. You can get the enhanced HD and 3D experience through your computer sitting at your home. Besides, it allows users to play 4K video shot on GoPro cameras. Being super handy it gives you options to stream content from Facebook, YouTube, personal home network, flicker. You can convert all of your photos and videos into 3D compatible formats. Ramka's 3D Video Player is a shareware video player that can play 3D and 2D videos. It also converts videos to 3D playback. The trial version of 3D Video Player is free, but the 3D conversion feature is disabled: it will play existing 3D stereoscopic videos, though with a watermark on output. To get the conversion feature and to get rid of the watermark, you will have to upgrade from the trial version. VLC is a popular choice for video playback. It can play almost any video format and it can play DVDs as well as handle live streaming. 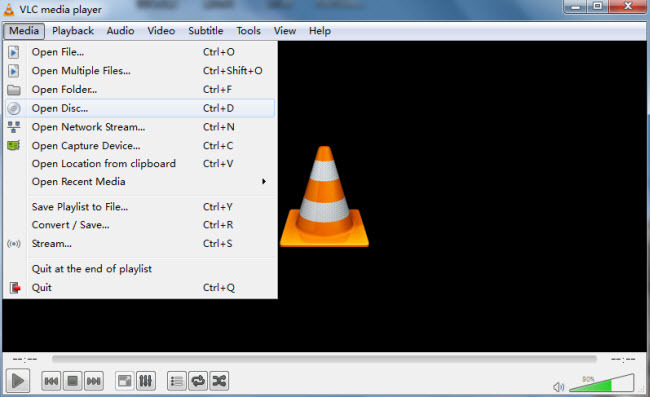 You can even use it to convert and play 3D content and it's pretty easy to learn how to play 3D movies on VLC. The fancy navigation screens you might find on other programs are absent here, but it is a very clean and easy to use interface. This easy to use player is freeware, and it supports the major video file types, such as AVI, ASF, WMV, AVS, FLV, MKV, etc. It does some conversion from 2D to 3D by adding anaglyph effects, so you will need 3D glasses in order to view the movie. 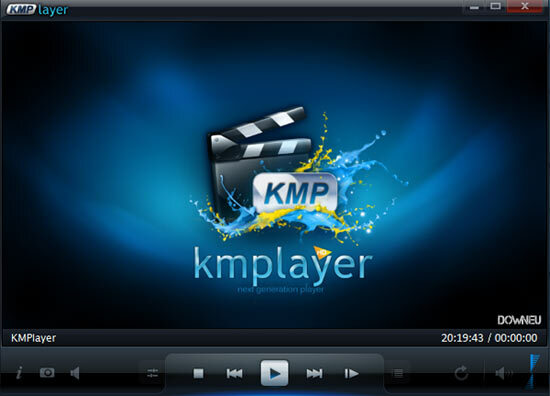 Audio files can be handled by KMPlayer too. Plus, if you are super fancy user to like everything in multiple colors and screens, you can customize it to your need or else it can also be suitable with very simple and easy interface. Actually, most users want an effective 2D to 3D converter to help them turn common 2D video/Blu-ray/DVD disc and even 3D Blu-ray movies into popular 3D movie formats, but they don't know which one is the best. Pavtube Video Converter Ultimate (including Windows 10) is such a remarkable 3D converter. You can learn the detail information below. - Support Anaglyph (Red/Cyan) video as output to watch 3D movie at standard 2D TV. - Make your own 2D and 3D movies in a virtual cinema, Virtual Reality devices including Samsung Gear VR, Oculus Rift, Zeiss VR One, etc. 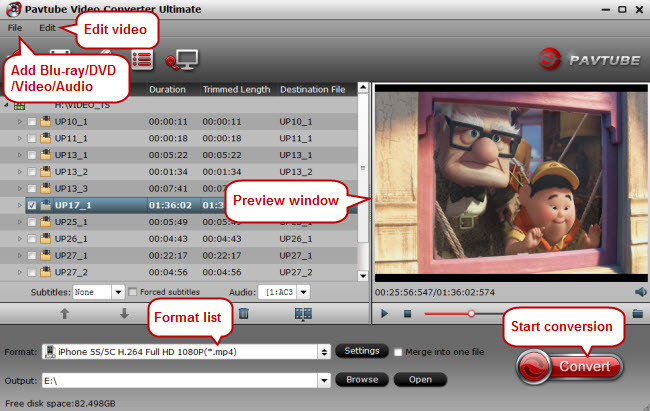 - Extract audio tracks from a 2D/3D video to MP3, OGG and other formats of audios. Note: Pavtube iMedia Converter for Mac helps Mac users create 3D movies out of any 2D video/Blu-ray/DVD disc and 3D Blu-ray movies without quality loss (including macOS High Sierra). How to Create 3D Video from Common Video/Blu-ray/DVD disc? For Windows users, just follow the detailed guide to complete your conversion. The way to create 3D movies on Mac is the same. Just make sure you've downloaded the right version. Start the program on your computer, click "File" > "Load Video/Audio" to import common digital files into the program. For loading Blu-ray/DVD disc, insert your DVD disc into into your computer's optical drive and Blu-ray disc into an external Blu-ray disc, then click "File" > "Load from disc" to load 2D DVD/Blu-ray or 3D Blu-ray disc into the program. Click "Format" and you will find many presets. There are three types of 3D effect: Anaglyph 3D, Side-by-Side 3D and Top-Bottom 3D. Here, you are suggested to choose the presets"MP4 Side-by-Side 3D Video (*.mp4)"from "3D Video" option for 3D video Players/2D TV/3DTV/3D Glasses. 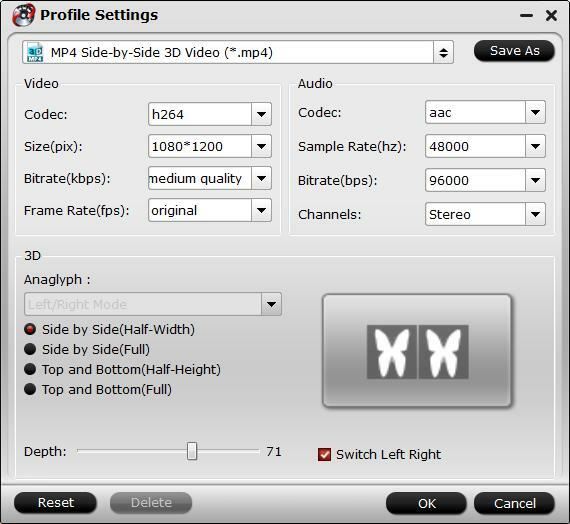 Click "settings" to open "Profile Settings" window, here you can adjust output 3D video depth, select the specific 3D resolution: Side by Side (Half - Width) or Side by Side (Full) or change the image display order for 3D SBS movie. If you don't satisfy with the output 3D video effect, you can adjust the output 3D depth value to get better 3D depth perception. In addition, you can also use the "Switch Left Right" option to change the image display order for 3D SBS movie. 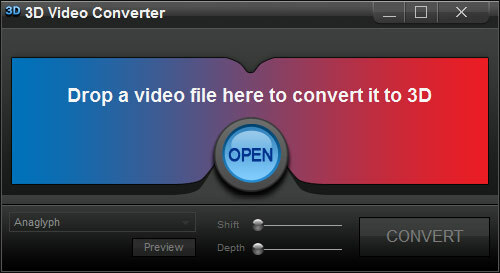 Hit on the "Convert" button and start to create 3D SBS MP4 video from video/DVD/Blu-ray disc. 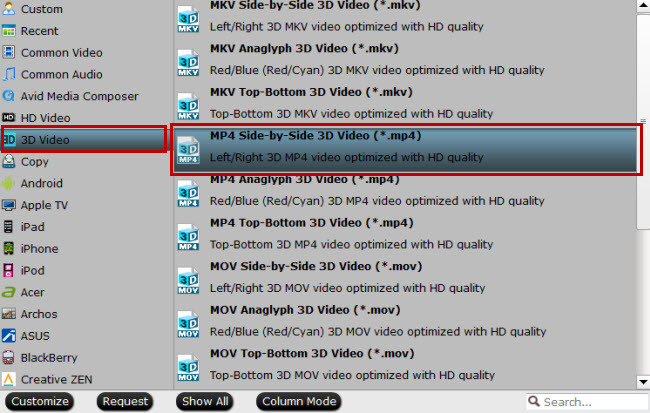 When the conversion is done, you can locate the generated 3D SBS MP4 video in output folder. What's exactly is 3D? In contrast to 2D, 3D means three-dimensional computer graphics. 3D in general is quite complicated and can be analyzed from many different aspects, usually we use 3D depth and 3D mode as two most important measurements. 3D depth: all the depth adjustment actually does is to move the left and right images with respect to each other. An object with a lot of pop-out is one where the left and right images do not align closely. But if you are too close to the screen your eyes will simply not be able to “integrate” the result to make sense. But if you adjust the 3D depth so that the popped-out object is now more closely aligned then everything else will be out of whack. So pretty much it is rarely a good idea to change the 3D adjustment. What you can do (which works a lot better) is to adjust how far away you are from the screen. But as your brain learns how to cope with TV 3D (so to speak) you will find that you can get a bit closer again. 3D mode(color channels): Red/Cyan, Red/Green, Red/Blue, Blue/Yellow, Interleaved and Side by Side. 3D images usually use different combinations of color channels. Red/Cyan, Red/Green, Red/Blue and Blue/Yellow are the most common and popular four combinations of color channel. The chart below will show you how these channels work with our eye.